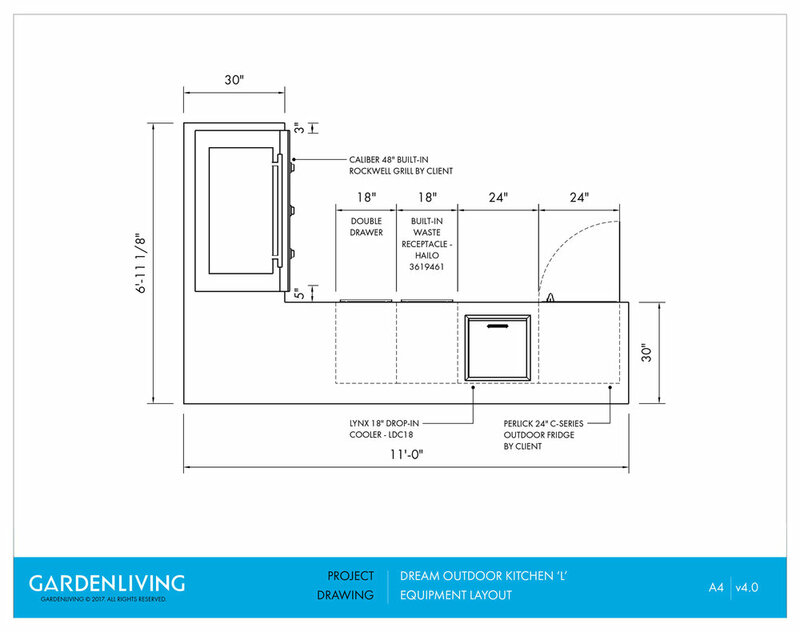 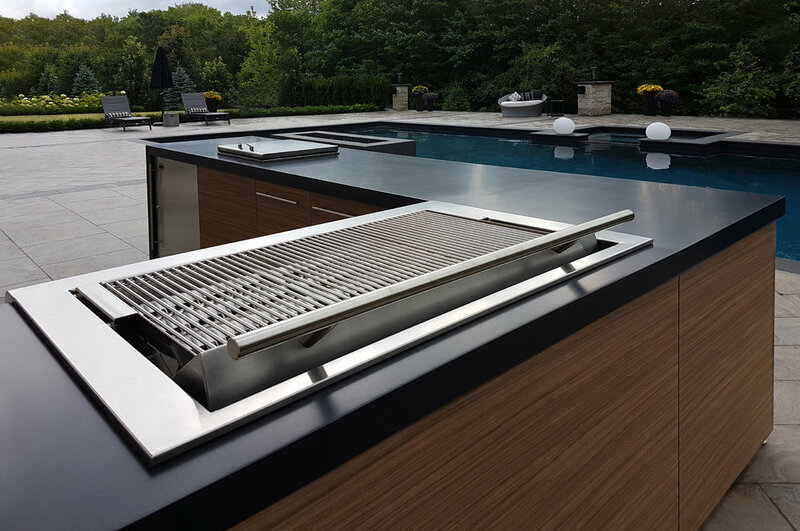 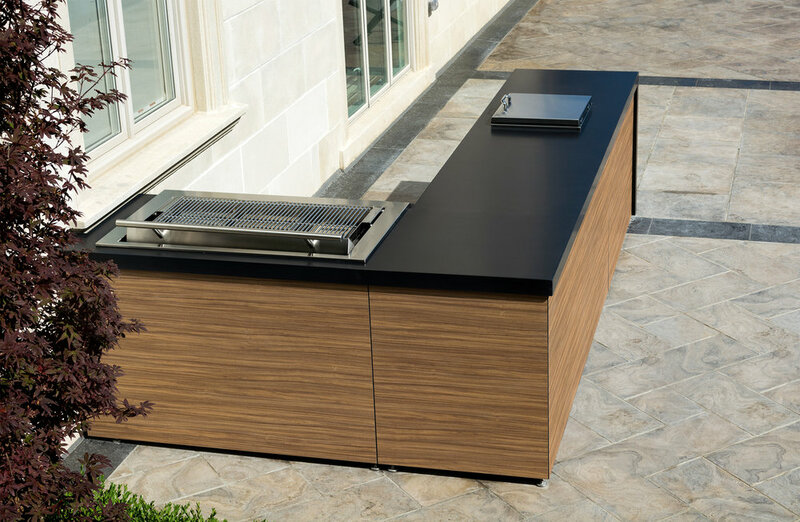 This 'L' shaped outdoor kitchen is a perfect extension of the interior kitchen. 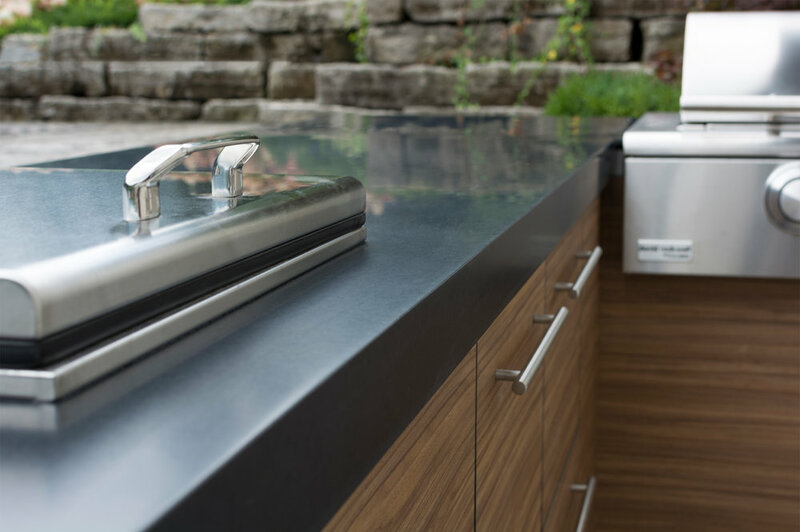 Cabinetry includes two 18" drawers for plenty of storage space, along with a built-in waste and recycling pull-out drawer. 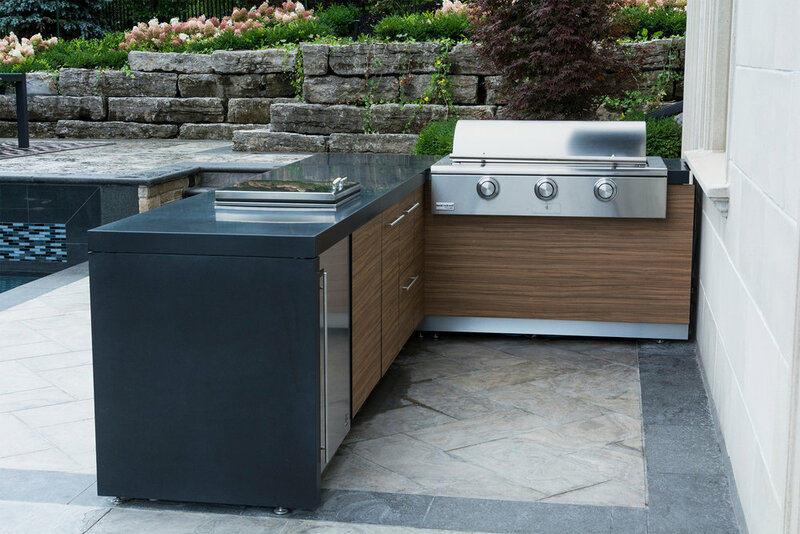 Equipment features include a 48" Caliber Rockwell social style grill, Lynx 18" drop in cooler, and a Perlick 24" C-Series outdoor fridge. 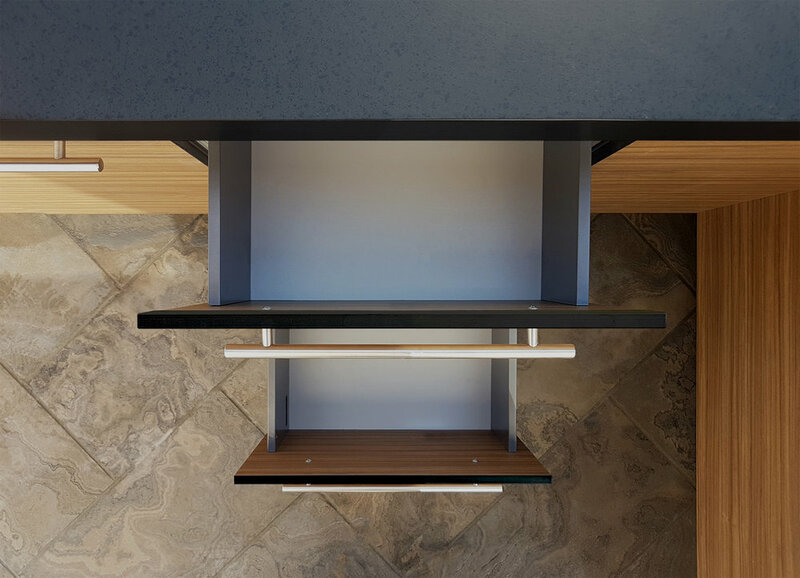 Finishes: Endura® French Walnut cabinets, | Endura® Black Granite 2.75" dimensional countertop.